New Delhi : Arunachal Pradesh, which was taken under President’s rule on the ruling BJP-led NDA government’s advice, is now facing a decision-falter challenge at supreme court from Congress. A day after central rule imposition, Congress is all set to walk court galleries as it has braced itself up to throwing a challenge of administrative mal-decision. Congress party, which was ruling the state of Arunachal, has called Centre’s decision as anti-democratic, and has used strong words to support its protest against the decision. Congress party has called the decision to impose Central rule as a ‘murder of democracy on Republic Day.’ This came in as a follow through of action, in which, on Tuesday, President Pranab Mukherjee signed off on central rule for the northeastern border state, indicating that he agreed with the government’s assessment of state’s political crisis. Prez recommended this imposition a day after discussions with Home Minister Rajnath Singh, wherein, HomeMin had met President on Monday and had stated the detailed point of view and reasons behind Centre’s urge for a President’s rule. Having convinced the President, Rajnath Singh had come out satisfied for having been able to to explain to the Prez, why the government had recommended central rule. Tuesday witnessed a series of events besides Republic Day celebrations, specifically pertaining to the State of Arunachal Pradesh, when, in a statement on Tuesday evening, the Home Ministry informed that there had been a constitutional breakdown in Arunachal Pradesh, and the President declared Centre’s rule. The ruling party of state, Congress alleged that the Centre was determined to destabilize state governments that were not led by the BJP or its allies. 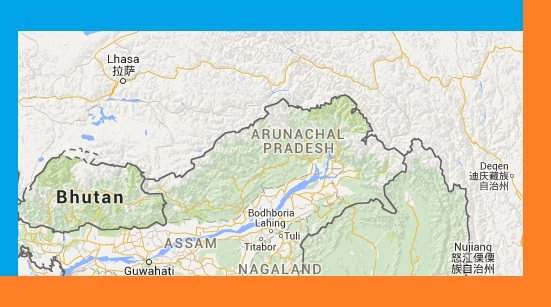 The story of Arunachal Pradesh gevernmental crisis had begun to erupt since the end of calendar year 2015, and Arunachal Pradesh plunged into a political crisis in December, as nearly half of the Congress’ state lawmakers rebelled and teamed up with BJP. Also, they voted against the speaker and supported the removal of Speaker and Chief Minister Nabam Tuki at an assembly session called by Governor JP Rajkhowa. This meet had taken place at a community hall for want of premises of state assembly’s unavailability — the state assembly had been locked up on the Speaker’s order. Congress had since then been accusing the Governor of acting as ‘a BJP agent’ — by calling a session to help the rebels. In Gauhati High Court, Congress stated that assembly session called by Governor in December was a step in violation of constitution as Chief Minister Tuki and his cabinet were not consulted. The Speaker made a petition, which was considered and, on the basis of which, the High Court first suspended decisions taken at rebels’ session. Thereby, eventually court dismissed the petition, prompting the Speaker to move the Supreme Court. Central goverment is still maintaining its position on grounds that law and order in the state had deteriorated, an assembly session had not been held for six months, and that state legislators were denied access to the Assembly because the Speaker had the building locked up.